After being diagnosed with Stage III breast cancer when she was just 24, Lauren Sylliboy said the enormity of her illness didn't hit her right away. But exactly 14 days after her first chemotherapy treatment, that changed. Her hair started falling out and Sylliboy said she looked in the mirror and realized her illness was showing. After being diagnosed with Stage III breast cancer when she was just 24, Lauren Sylliboy said the enormity of her illness didn't hit her right away. But exactly 14 days after her first chemotherapy treatment, that changed. Her hair started falling out and Sylliboy said she looked in the mirror and realized her illness was showing. "I was scared of what was going to happen with chemo ... and if I'll need to get radiation. It just hit me like a tonne of bricks." 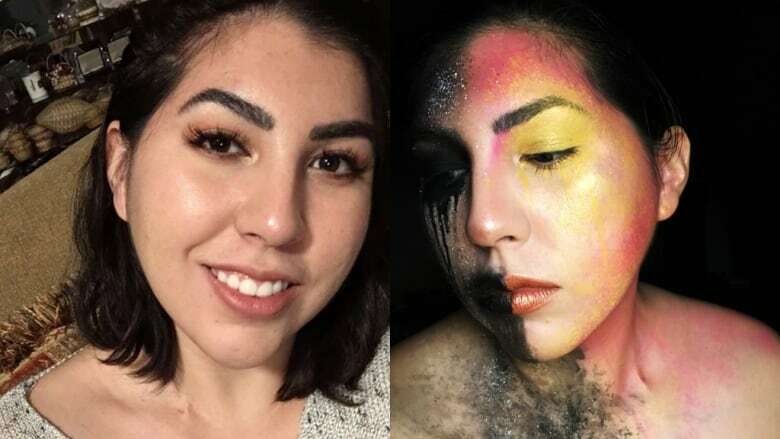 Struggling with depression through her treatments, the Eskasoni artist turned to face painting and photography to help her through chemotherapy. She was referred to a program called the Art of Living Project, it pairs patients with artists and they work together to develop a project that represents the patient. Excited to stay busy and positive, in her first piece, Sylliboy said she wanted to express how she was feeling when she got the diagnosis. She chose pink — the colour used to represent breast cancer, and purple — a colour that represents all cancers. 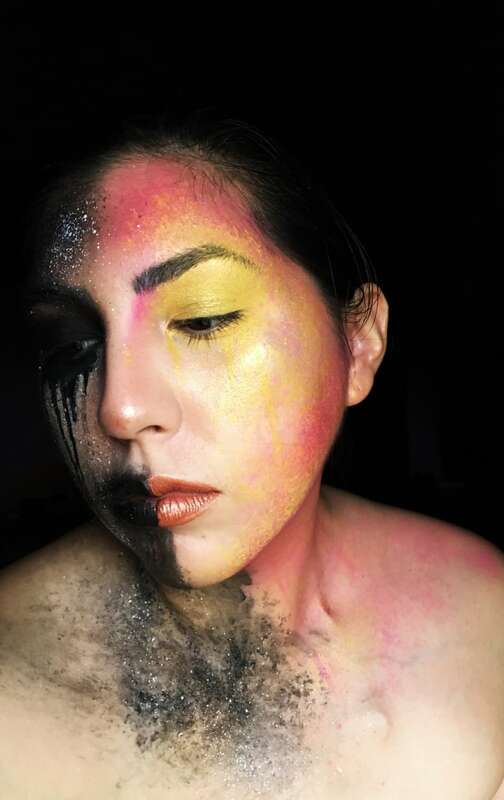 Then she painted her face with colourful tears and posted the image on social media. For her second image, Sylliboy said the colour palette changed dramatically. "It was more dark. It had the black tears going down. And in that painting I wanted to express how chemotherapy made me feel. They had to do it intravenously through my hand. You could feel it in your veins, like how cold it was." 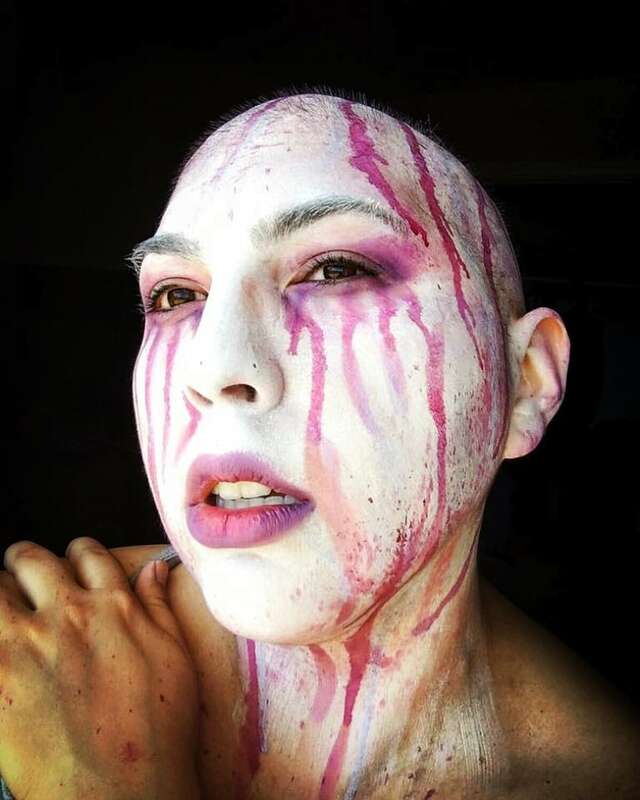 After posting the second image, Sylliboy said a lot of breast cancer patients reached out to her and said her image captured how they felt when they went through chemotherapy. Now, two years after being diagnosed, Sylliboy is out of treatment, but still being closely monitored. She said many breast cancer survivors worry about the cancer coming back, but she's trying to stay positive. In her most recent image, which was created for a book about called Faces Facing Cancer, Sylliboy said the photo captures where she's at now. Half of it represents when she was first diagnosed, and the other half reflects how she feels as a survivor.